After two horrible years suffering a rare Achilles tendon disease, Santi Cazorla was finally able to get a little bit of what football took from him with a brace. It was a total of 636 days of hell in total for Santi Cazorla, the Spanish player suffered a rare injury on his Achilles tendon that nearly cost him his career and left him out of competition for two years. The player was told by the doctors that playing football again with his son would be deemed a miracle, he suffered a degenerative parasite that withered away from the tissue on his Achilles tendon and he saw how his whole life was going down the drain. But Santi never gave up, he began treatment and there was finally a beacon of hope when the bug finally left his body. Villarreal was gracious enough to grant him another opportunity at playing football, but Cazorla knew that he would need to make an extra effort to return to the same level that took him all the way to the Premier League a few years ago. This Thursday was the official day in which football smiled back on Santi Cazorla once again, the moment in which life started paying a little bit of that huge debt it owed him after making him go through hell for the past two years. The Spanish player had a magical night playing for Villarreal, it was at the expense of Real Madrid. 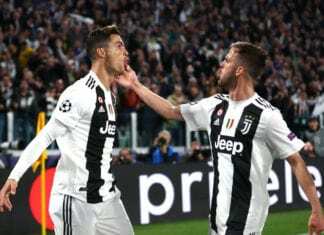 Los Blancos proved that they are still far from the same level of performance that took them to the very top in the last three seasons, they weren’t able to get past a draw and practically relinquished their claim to keep fighting for La Liga this season. But we would be lying if we didn’t accept that this new Real Madrid setback, isn’t in great part thanks to Santi Cazorla’s outstanding performance for the ‘Yellow Submarine’ at Villarreal’s own stadium. The midfielder’s last double at club level was against Newcastle when he was still an Arsenal player in the 2013-2014 season, four years passed ever since. On the international stage, Santi’s last brace was against Luxembourg in October 2015. The player felt how a huge weight finally came off his shoulders with this Thursday’s performance against Real Madrid, he is finally back to his best form after such a long time. “We are happy for the point, we have to keep it that way,” said Cazorla via Marca. The match itself was mostly controlled by Villarreal from the very beginning, it was thanks to Cazorla’s early goal which came after an assist from Chukwueze with only three minutes on the clock after the initial whistle. Real Madrid tried to respond to this early disadvantage with goals from Karim Benzema and Raphael Varane before the 20th minute of the match, but Los Blancos were very disconnected throughout the rest of the match. Only Gareth Bale was able to create good chances for Real Madrid in the first half, but yet another unfortunate injury forced him to leave the match at halftime and Villarreal was able to create enough chances that brought the equalizer for them with eight minutes still left on the clock. 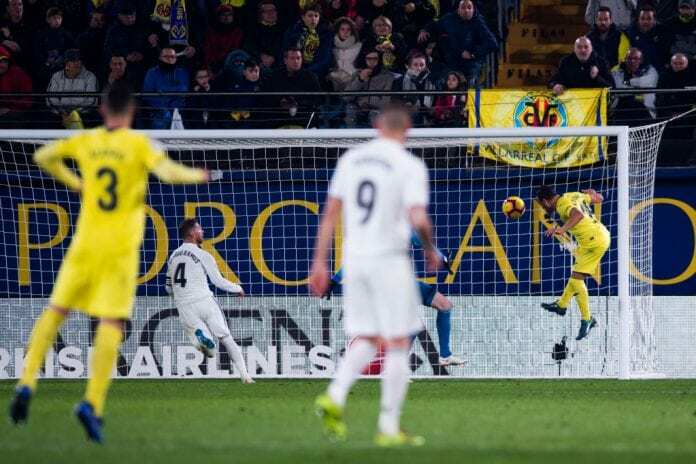 Cazorla’s effort after a cross delivered by Fornals and Marcelo’s poor defending on the left wing, was the main reason the ‘Yellow Submarine’ was able to get out of the relegation zone during the first La Liga match of 2019. This night will remain unforgettable for Santi, it was a day of resurrection for his career and another dark day for Los Blancos’ aspirations to fight for La Liga. How would you describe Santi Cazorla’s impressive comeback to professional football in one sentence? Please share your opinion in the comment section down below.